Partners - University Search Inc.
University Search Inc. is dedicated to providing student athletes with the tools, information and access to control their post-secondary academic and athletic future. 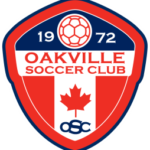 This page lists some of the soccer clubs and organizations that share our philosophy to give their players the very best programming to help them develop on and off the pitch and ensure that they have every opportunity to explore all their playing options. We are proud to partner with these clubs and organizations that are so dedicated to their soccer athletes. 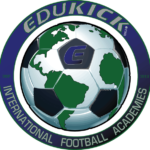 Since 2001, EduKick have been the leader in study abroad, football travel programs. Our Academies provide professional football training combined with quality foreign language instruction or academic program and chaperoned cultural excursions in order to maximize a young player's experience abroad. EduKick programs are based on the philosophy that exposure to foreign language, culture and professional football training abroad will accelerate personal and athletic growth in young people. Our programs provide a very unique experience, a complete package of football training and language lessons or academic program that have a lasting and positive influence on the participating young player. EduKick is committed to delivering the highest level of instruction, in a secure, safe, and nurturing environments.